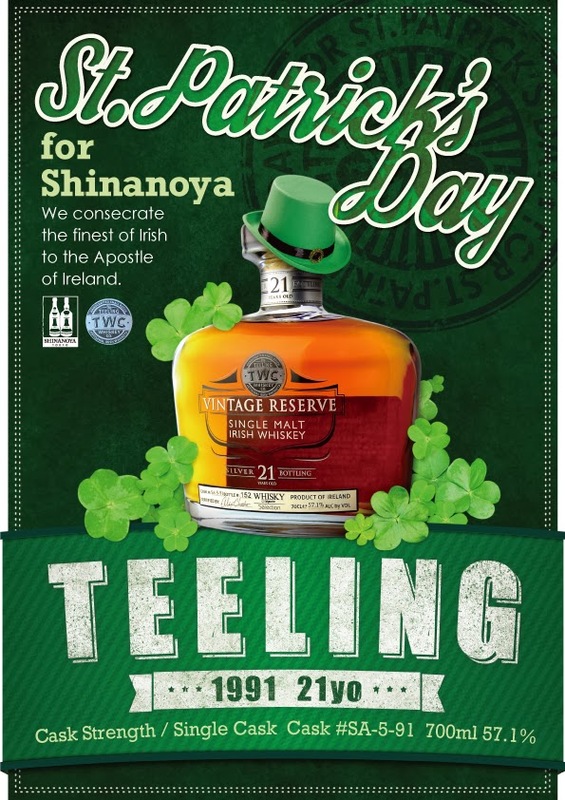 Hot on the heels of a single cask bottling for Bar Campbeltoun Loch in Tokyo (released just a few days ago), the guys at Shinonaya are releasing their own single cask Teeling (1991, 21yo, #SA-5-91) in anticipation of St. Patrick’s Day. It seems like this is becoming a tradition of sorts – last year, they released a 2001 Cooley (11yo, 120btls) sourced from A.D. Rattray. 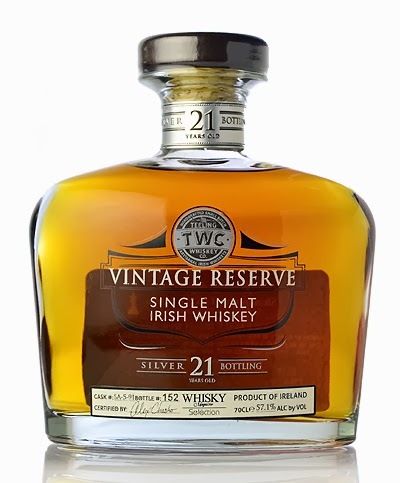 This year’s offering is an official bottling, bottled at a cask-strength of 57.1%abv. There are just 118 bottles and I don’t think they’ll actually make it to St Patrick’s Day. 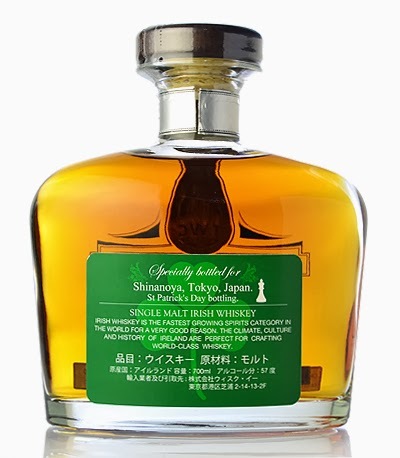 They will be available soon, priced at 21,000 yen for a bottle.